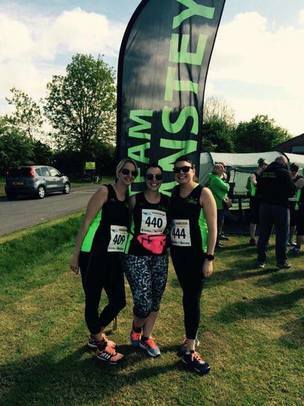 I started running back in November 2014, the group was about 3 weeks new. My son Freddie was about to turn one and the constant realisation that the baby weight needed to come off wasnt going away. The first session I turned up, feeling anxious about the unknowing. Was I going to be the only one that couldn't run? What was I going to be made to do? What if I fell flat on my face?! Geoff made me feel really welcome and soon I was chatting away to the members, many of us felt like a fish out of water! I remember my first run, well if you can call it that. I got an eighth of a mile and must have stopped three or four times, out of breath and hyperventalating. The camaraderie of the team got me through that night, the friendliness and inclusiveness of the group inspired and motivated me to turn up week after week, irrespective of my performance. As an anxiety sufferer, running is my solace. The darker times are made more bearable by being out there with others to lift my mood and to exert any worries. The friendships formed and the encouragement we all give one another in times of need is so amazing and valuable in making the team as special as it is. 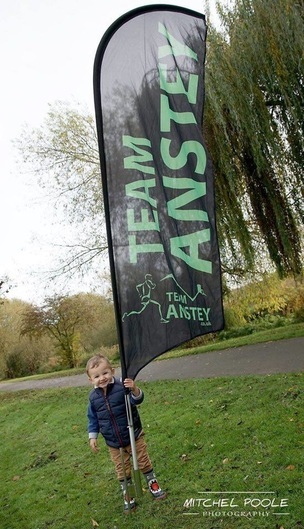 Everyone, regardless of ability or speed is celebrated and the families and friends of the runners are as valued as the next person, one of the most aspirational qualities about Team Anstey. My proudest moment and achievement is running in the league races. Who would ever have thought after that first awful 'run', that I could run 8 miles?! Yes I really have done it, several times! Plus the wolf run! Mud, water and obstacles, who would have thought it?! 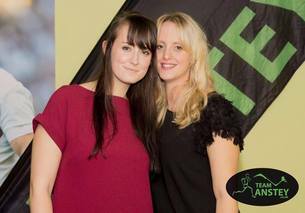 Losing the 3 stone post baby weight has been incredible, I have never felt so fit and all doing something that is fun! 1) Be yourself, follow your own goals and aspirations and try not to get caught up in other peoples. We are all different and have different targets, enjoy it and beat your own milestones. I thought I would add a bit of humour to it… well, hopefully. During his time, training such strange and humorous did fall upon him. 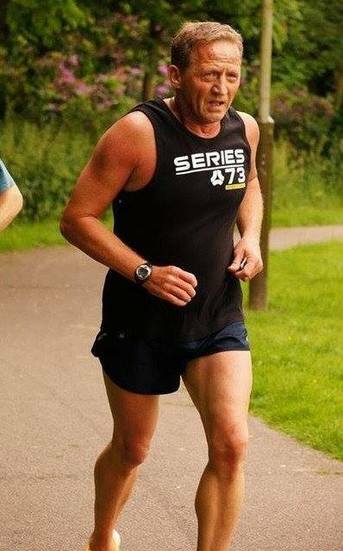 Running one summers eve along the river soar near Maids Kirby/and West Milk Parlour, wiping away the perspiration from his face, he did slip into the river. Such a fall from this height he was stuck in the stagnant mud - but managed to release his self from it but had to swim ¼ of a mile until he could reach the foot path and carry on his way. But undeterred by these small set backs, he pushed on with his running. Race after race he would enter to try and impress his sweetheart and gain the hand of Sharon, and be allowed to join those elite knights. He would write to his sweet heart of his race times. Joe’s proudest moment was when lady Sharon was in her 40th year, and exclaimed “I want to run!” So they both trained for months of sweat and toil until Sharon was ready to run the Leicester Half Marathon. How impressed and proud of his sweetheart in completing it in 2 hours and 13 mins..
His biggest achiement was running 1st London marathon in spilt time 1:33 first half .2nd half 1:20 . Find a bloody Lady who doesn’t live on the other side of the kingdom. Enjoy your running journey- don’t forget to laugh at the bad runs. Always a good run round the next corner..